We’ve gathered and protected historical artifacts to enhance the centerpiece of our site, the awe-inspiring Anasazi cliff dwellings. 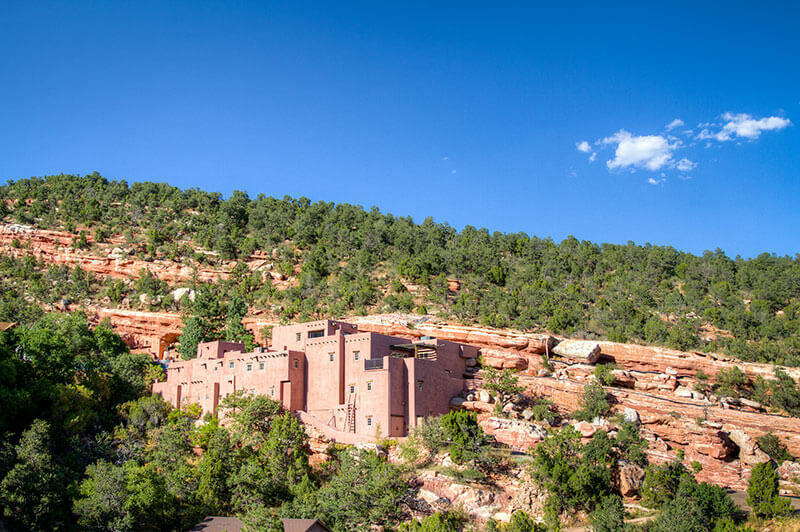 These authentic cliff dwellings were first opened to the public in 1907. Since then we have taken great care to preserve them so that generations of visitors can travel through time to experience a great American society now long gone. When you visit us in person, there will be no need to hurry as you follow the self-guided tour and explore each room of these carefully preserved structures. As you do, we invite you to imagine what it was like to live over seven hundred years ago in a structure like this. You can even have your picture taken in front of a building that’s a lot older than your Grandfather! 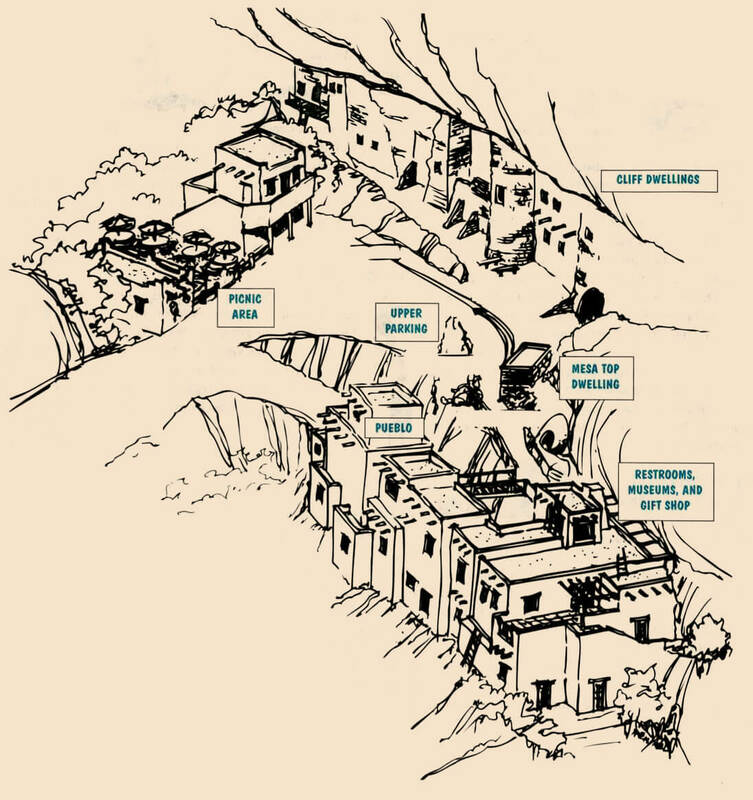 Below the Cliff Dwellings is a three-story Pueblo-style building which houses the Museum and Gift Shop. We built the Pueblo so visitors could see and appreciate the building style of some of the descendants of the Anasazi. We faithfully copied the architecture of the Pueblo Indians, many of whom still live in structures like these in the Rio Grande Valley in New Mexico. Some structures, like the five-story building at the Taos Pueblo and the Acoma Pueblo, west of Albuquerque, have been continuously occupied for over 1,000 years. Of course, our Pueblo is not quite that old! The first six rooms of the Pueblo were built in 1898. It has been expanded three times since then. Until 1984 it was occupied by Native Americans.